Right-click on the folder you wish to customize and select “Properties”. The properties window for the respective folder will be displayed as shown below. Navigate to “Customize” tab there you will see may option like What kind of folder do you want? folder pictures and folder icons. 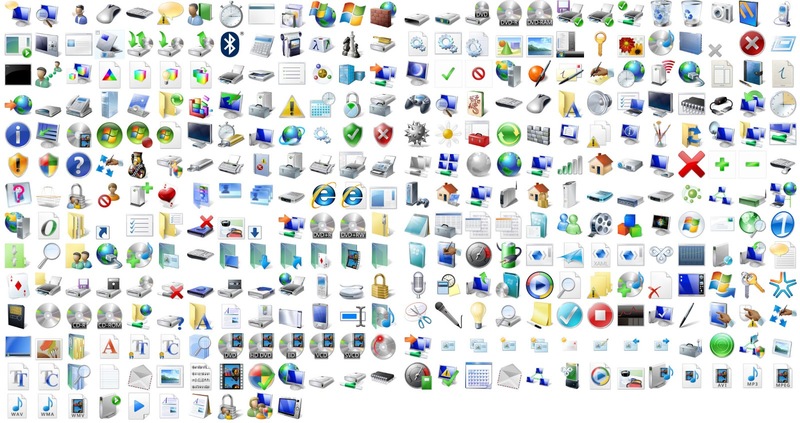 Click on “Change icon” to see many different icons listed in the box which are located in C:\Windows\system32\SHELL32.dll. If you want to see more icons you can browse windows 10 folder icon location C:\Windows\system32\imageres.dll. 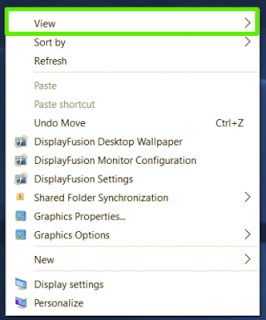 After completing all the above steps the change folder icon will change..
How to Change the Icon Size in Windows 10 ?? On my laptop with a native 1600 by 900 pixels display, the large option looks huge, the small size is too small, and the medium size looks just right (as Goldilocks would say). 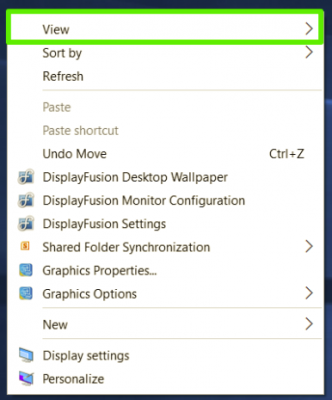 Your mileage might vary depending on your screen’s display resolution. 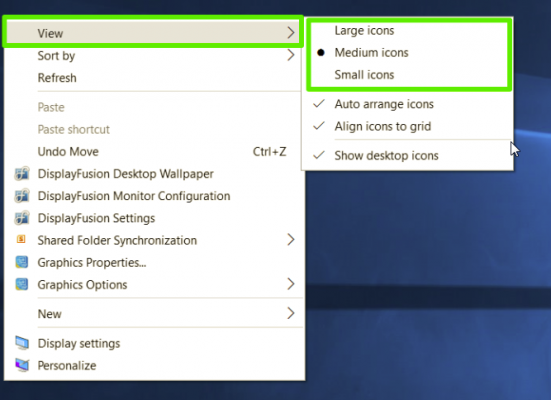 Changing the size of the icons on the desktop doesn’t affect the size of the icons elsewhere in Windows 10, but there are ways you can change those too. Change the Size of the Taskbar Icons & Icons in File Explorer ?? ← Memory full ??? try this tips to free up memory on android…..